It is very well known by now that Lewis Hamilton is somewhat of a ‘superhero’ of the Silverstone F1 Grand Prix, except for his personality, which is not exactly as humble as that of a Superman. Many critics have tried to knock his pompous and some might say arrogant character down in the past few years, however, this was always proven to be unsuccessful, as he would almost seemingly effortlessly achieve the back up for his undoubtedly big ego. This time his back up came in a form of a fifth Golden British Grand Prix trophy, making him only a third man after Jim Clark and Alain Prost to ever achieve this. Hamilton, very openly announced about his antics prior to the championship, he admitted to have spent 2 days in the island of Mykonos, in Greece, which is famously sought after by night life lovers. 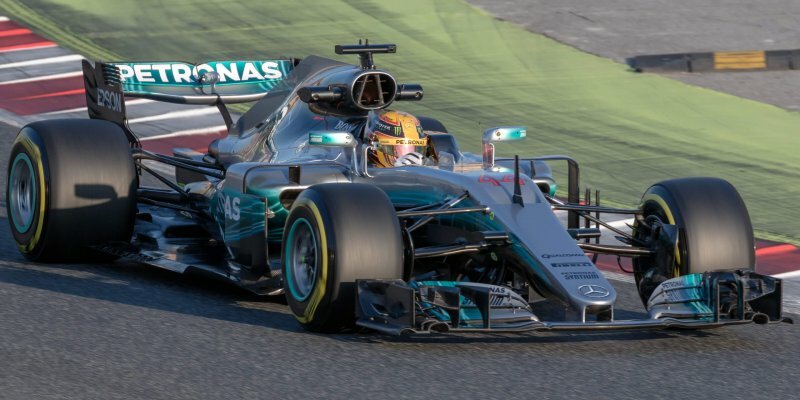 Although when looking at the performance that he gave in his Mercedes formula car, we are lost for words when it comes to describing his talent for this arguably most exhilarating sport in the world. The 32 year old came out with 25 points, leaving Valtteri Bottas in Mercedes with 18 points in Second place and Kimi Raikkonen in Ferrari with 15 points in third place. Unlike other Formula 1 drivers, Hamilton is not as weary of his fans and enjoys showing them attention, as long as he gets triple the amount of it in return of course! He never fails to put on a good show for the spectators which essentially is what this sport is all about. Following that manner, at the end of the final race, Hamilton was seen crowd-surfing through the crowds of his loyal fans, later he decided to shake hands and say his hellos to people standing by the further wire fences, followed by cap throwing. Unfortunately, Hamilton’s Silverstone reign will soon be over, as the Championship will be leaving the famous Northamptonshire circuit in two years. 2019 will see the race move to another location, which Hamilton is not exactly happy about, as this circuit has proven to work the most in his driving style’s favour. However, we have no doubt that his trophy collection will keep increasing regardless of the track. The young and confident driver has won over most of the F1 fans hearts with his loud and entertaining personality, he promises to continue to be himself and enjoy his life the way that he wants to for the time to come, no matter the criticisms.